Navigator Maxor is a low energy, high output l.e.d. deck and recessed light which consumes a small amount of power and stays cool to the touch. Navigator Maxor is the largest recessed LED light in a family of three sizes used to outline a deck or paving, light steps or provide cool uplighting. E3311WW is a low energy, warm white LED deck and recessed light which consumes a small amount of power and stays cool to the touch. 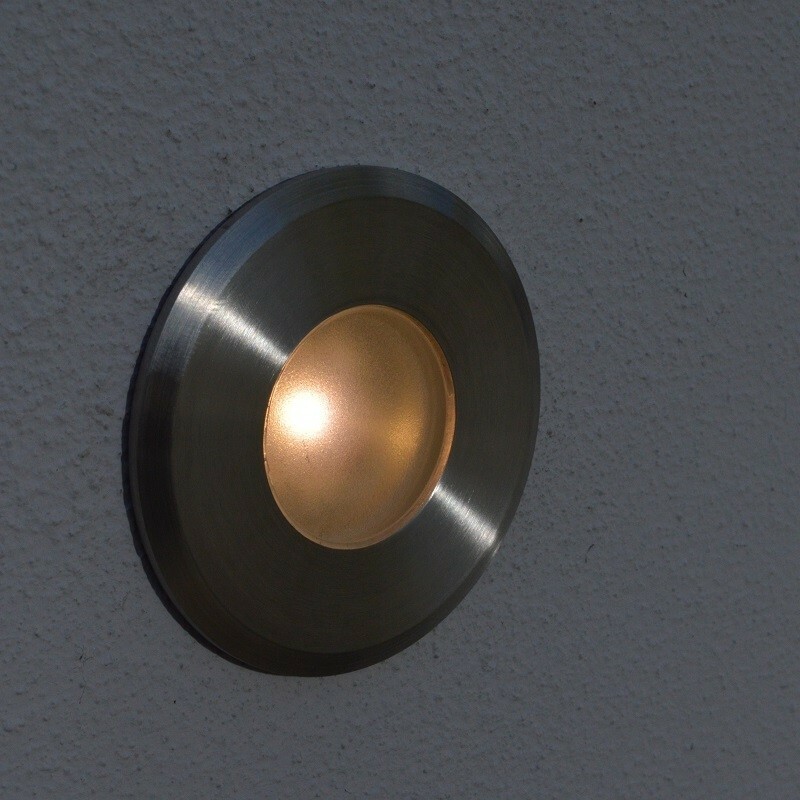 The warm white led produces a wide 80° beam diffused by the 28mm diameter frosted lens to provide soft lighting compatible with the colour of halogen garden lighting. Navigator Maxor are used either to mark out the shape of a deck, patio or terrace, to outline paths and to light steps. To outline a deck or patio space with a distinctive shape, start at the corners of the decking or paving and space led recessed garden lights at about 1 - 1.5m apart. Navigator lights can be arranged in custom layouts using cable joint kits and 1.5mm cable supplied by the reel, which is more flexible than kit-type products. Connect to end of a low voltage cable using T9962 cable joint kit; for splicing into a run of cable use T9963 cable splice kit. Supply from a magnetic transformer such as T9502 surface mount 20va or T2504 ground burial transformer, not an electronic transformer.